Discounted Hockey Pants And Hockey Pant Equipment! CCM was founded in 1899 after the collapse of the bicycle market. Established "when the operations of four major Canadian bicycle manufacturers amalgamated: H. A. Lozier, Massey-Harris, Goold, and Welland Vale Manufacturing." CCM produced bicycles for many years in the area of Weston, Toronto, Ontario. They also briefly produced the Russell automobile. 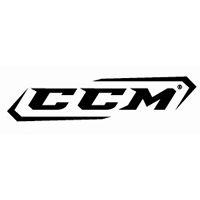 By 1905, with saturation in the bicycle market, CCM also began producing hockey skates and subsequently began manufacturing other hockey gear. In 1937, CCM acquired the Tackaberry brand made by a Manitoban named George Tackaberry and "Tacks" have been the company's signature skate until late 2006, when the Tacks line was replaced with the "Vector" line, and now the "U+". In 1998, The Hockey Company (CCM's parent company) acquired Montreal-based Sports Holdings, Inc and became the world's top producer of hockey merchandise adding the brands Koho, Titan, Jofa, Canadien, and Heaton. Titan and Canadien were well known brands of wooden hockey sticks in the 1980s and 1990s. Wayne Gretzky used the Titan 4020 while playing with the Edmonton Oilers. Heaton was known for its goalie equipment. In 1999, SLM is renamed The Hockey Company. In June 2004, The Hockey Company was bought by Reebok. All brands other than the CCM brand were retired and Reebok introduced its own RBK Hockey gear, later to be re-branded as Reebok Hockey.WikiPedia Thanks! CCM Roller Hockey Pants - A trusted hockey pant brand for European leagues, the Olympics and the NHL, we also provide you with a large selction of CCM roller hockey pants, ccm ice hockey pants and ccm hockey pants equipment for great discounted prices at HockeyPants.com.